Who would have thought it? That captivity could be liberty? That service could be freedom? In 1548 four little girls, all called Mary, set sail from Scotland for France. Five years old, they are already primed for the work of their lifetime - to serve another little girl called Mary. 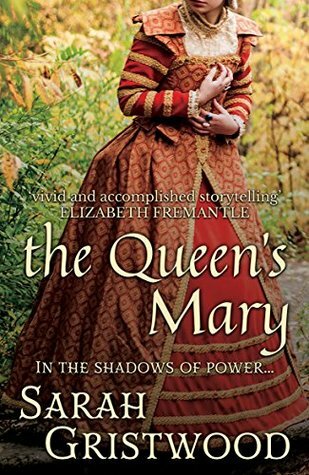 Thirteen years later, the five return to an unwelcoming Scotland, and as Queen Mary struggles to take control of her turbulent country, her famous ‘Four Marys’ are at her side. The queen finds herself set on the path of violence and disaster which will lead eventually to her tragic end. But what of the other four Marys, bound inexorably to their mistress’ fate? Of the four, it is Mary Seton who serves the queen longest, and whose loyalty is most severely tested. Through a maze of shadows - of treachery and even witchcraft - how can she find her own way ahead? OOOOOooooo... going to have to get!